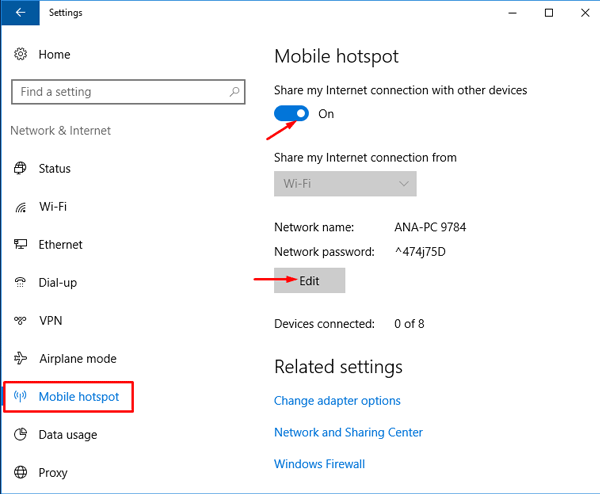 With Windows 10 Anniversary Update, Microsoft introduced an easy way to setup a mobile hotspot. In Windows 10 you can turn your Windows 10 laptop into a Wi-Fi hotspot without the need of a third party program. This feature is only available in Windows 10 Anniversary Update or higher. 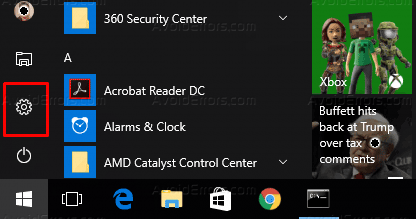 Make sure that you’re running version 1607 or higher of Windows 10, to find the version type Winver.exe in Start menu search box and then hit Enter. 1. Click on Start then go to Settings. 2. In the settings Window click on Network & Internet. 3. Now, from the left select Mobile hotspot. To turn your Windows 10 laptop Into a Wi-Fi Hotspot, turn on the option labeled “Share my Internet connection with other devices“. If you want to change default network name or password of your Windows 10 WI-FI hotspot, click the Edit button and then assign a different network name or password. 4. 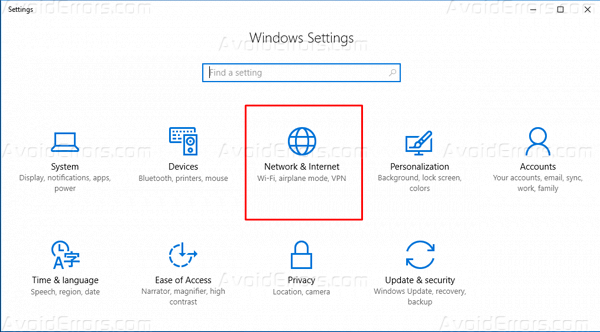 To connect a device to your Windows 10 WI-FI hotspot, locate your Windows 10 WI-FI network’s name on the device that you want to connect and then enter the password shown on Mobile hotspot page in the Settings section of your Windows 10 PC. 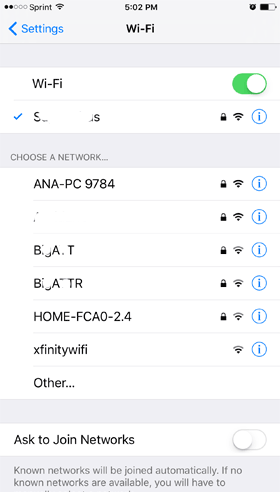 The Mobile hotspot page in Windows 10 Settings displays the number of devices connected to your mobile hotspot as well.